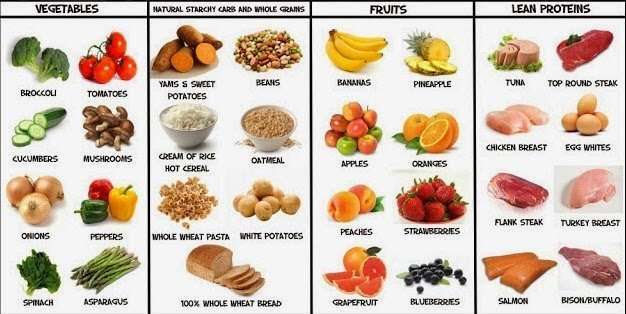 Along with workout, you need to include muscle-gaining foods in your daily diet for building muscles. No, we will not be recommending here to buy those expensive jars of supplements that you see many of your friends gobble-up in gym. Rather we will discuss here some of the best naturally available foods that will help you gain muscles to ensure that your time spent in the gym isn’t a waste of time and sweat. 1. Eggs: The protein in eggs has the highest biological value – a yardstick how well it fulfills your body’s protein needs. Calorie for calorie, you need less protein from eggs than the other sources to achieve the same muscle gaining benefit. 2. Chicken Breast: Ideally, a meal containing a source of complete protein should be consumed every two to three hours to build muscles. Animal foods contain complete protein, and chicken breast is amongst the top muscle-gaining and lean muscle-building foods. Chicken breast is considered a high quality protein, and when compared to other cuts from the same chicken such as the legs or thighs, the breast contains more protein and less fat. Thus not only chicken breast helps you add lean muscles, but it also helps you lose fat. 3. Wild Salmon: Salmon is included in the list of healthy foods to gain muscle. You should eat it a few times per week, not only for its protein content but also because they have powerful punch of omega-3 fatty acids. It’s an ideal choice when you’re looking for protein and a change from chicken and meat. Best is to opt for an oily fish to get the omega-3s as well. The omega-3s you’re getting can be considered more important than the protein salmon contains, because there are several ways to get protein and fewer ways to meet your omega-3 needs. Salmon also boosts metabolism. 4. Black Beans And Other Beans:For those who are vegetarian, black beans is a non-meat item that packs a whopping 22 grams of protein into a 100 gram serving. It’s not only black beans that provide you great protein source, many other beans too have high protein numbers, such as navy beans, soybeans, lima beans, kidney beans, and more. Black beans and other beans are also excellent sources of soluble fiber, which will help you feel full, and balance your blood sugar. The beans are unique healthy foods in that they fulfill both your protein and fiber needs from the same food, as many high-protein items lack in fiber contents. 5. Cottage Cheese: Not many people know that cottage cheese is almost entirely pure casein protein.One cup of cottage cheese can pack 28 grams of protein. Casein is a slow-digesting protein, which means it is perfect for muscle maintenance. As this protein breaks down slowly, so leaves you feeling fuller for a longer time. Bonus point is that it’s a good source of vitamin B12, calcium and other important nutrients as well. 6. Lentils And Chickpeas: These protein-sources are the best options for the vegetarians and vegans. They provide the protein your muscles need, without the high-impact carbohydrate rush that affects your insulin levels. If you are struggling to gain muscles, and at the same time want to stay lean then substitute chickpeas for the rice and grains in your diet. This versatile bean boasts of 45 grams of slow-acting carbsper cup along with 12 grams of fiber. 7. Greek Yogurt / Plain Yogurt: Like plain yogurt, Greek yogurt is also made from the same source: milk. Greek yogurt, however, has more protein (a whopping 20 g per cup) and fewer carbs (9 g per cup) than regular yogurt (16 g protein, 16 g carbs per cup). It’s also a good source of casein protein. 8. Organic Low Fat Milk: It contains both whey and casein and is rich in the amino acid glutamine. Organic milk has about 70% more omega-3 fatty acids than conventional milk. Especially, brown rice can help boost your growth hormone levels, which are critical for encouraging lean muscle growth, fat loss, and strength gains. Although the whole grains provide some protein but that is not enough to you’re your protein dietary needs. 10. Fish Oil: Fish oil is known for its anti-inflammatory benefits that help your body to convalesce quicker from a hard workout. So you can exercise more regularly on the most days in a week. Fish oil also boosts your metabolism so along with muscle gaining you will lose fats too, meaning your muscles will become more visible! 11. Spinach: It’s good natural source of glutamine, the amino acid that is required for lean muscle growth. Moreover, a research study conducted at Rutgers University in 2008 found that it contains phytoecdysteroids that may help muscle growth up to 20 percent. This makes it a great food that can help increase muscle strength and endurance. 12. Beets: A rich source of betaine, also called as trimethylglycine. This natural supplement has been shown in clinical research to increase muscle strength and power. It also boosts liver and joint repair. Bonus point is that it contains NO boost (nitric oxide) that helps to recover and can enhance energy levels. 13. Apples: Apples contain vital nutrient polyphenols that help to boost muscle strength and prevent muscle fatigue, enabling you to train harder for longer. Studies have also found that these polyphenols can enhance fat burning too. That’s why we are recommending here to include apples as a pre-workout carb source. 14. Bananas: A banana contains three types of sugars, namely, fructose, sucrose and glucose. These sugars are best for pre/post workout. Bananas are fat and cholesterol free, extremely portable, and nutrient dense, so a must in your training regime. 15. Oranges: This is one of the foods that help you gain muscle strength and endurance, particularly when eaten before training. 16. Pineapples: Pineapple contains a protein-digesting enzyme, known as bromelein, in large quantity. It also reduces muscle inflammation that is why we recommend it as an effective post-training snack. 17. Sweet Potatoes: As compared to the regular potatoes, their carbohydrate content is slightly less. Whereas one medium potato contains 26 grams of carbohydrates, one medium sweet potato contains 23 grams of carbs. Sweet potatoes are a great source of vitamin A and a good source of potassium and vitamin C, B6, riboflavin, copper, pantothetic acid and folic acid. A medium sweet potato has 28% more potassium than a banana. They restore your energy levels and kindle the muscle-gaining process. 18. Broccoli: This is a good source of vitamins, minerals and fiber. You can make a healthy salad with broccoli along with spinach, baby tomatoes, sweet corn and peppers. Just cook a little bit only and have it as a post workout snack. 19. Cucumber: Cucumber is a good source of compound called silica. Silica contributes to the growth and maintenance of connective tissue throughout your body. Connective tissue includes collagen and elastin, two important body tissues that are responsible for connecting your cells together and holding them in place. Cucumber is a cheap muscle building food. (i) boost the anabolic effect of insulin by increasing insulin sensitivity. (ii) increase testosterone levels by preventing T’s conversion to DHT. Curcumin may also protect testicular function and may help reduce estrogen levels. The above benefits explain why turmeric can promote muscle repair and growth. 21. Olive Oil: Olive oil contains monounsaturated fat that helps prevent muscle breakdown and protects joints. Olive oil is a rich source of monounsaturated fats and omega-3 fats. These healthy fats are good for your heart. Olive oil is anti-inflammatory that helps a lot in reducing muscle pain and inflammation, promoting muscle recovery and making it a perfect muscle gaining natural food. 22. Water: Muscle gaining essentially needs hydration. Our body is around 70 per cent water and in addition to that muscle tissue too is about 75 percent water. Hydration enhances strength, energy levels and help in digestion as well. Include the above best natural foods for gaining muscle in your diet and see how your body gets packed with lean muscles.